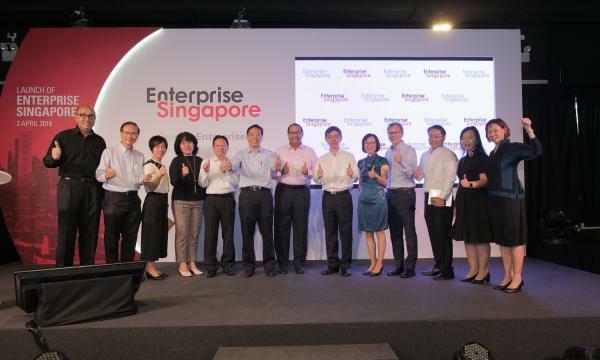 Enterprise Singapore, an agency that champions the Asia country’s enterprise development, says it has identified viable opportunities in Africa’s digital economy and manufacturing sector for Singaporean companies to tap into. “Africa’s rapid growth and thriving digital economy offers rich opportunities for Singapore companies seeking higher growth and market diversification. We are encouraged to see our local companies, including SMEs, venturing into Africa and gaining traction there. “We hope many more can tap onto platforms like the biennial Africa Singapore Business Forum and connect with our three regional offices in Africa to spark even closer business exchange and partnerships,” said Png Cheong Boon, Chief Executive Officer, Enterprise Singapore. Mr. Boon said his outfit has successfully facilitated close to 50 projects for Singapore companies in Africa in the last two years, of which 80 percent were undertaken by SMEs. According to him, more local companies are turning toward Africa as the continent progressively opens up through digitisation, regional integration and global trade, offering opportunities across various industries. Currently, over 60 Singapore companies are present in Africa, operating across more than 40 African countries and multiple industries. In addition to traditional sweet-spots like oil and gas, and urban infrastructure solutions, he indicated that Enterprise Singapore has identified Africa’s thriving digital economy and its manufacturing industry as two new growth engines. Touching on manufacturing, he said many of the continent’s countries are embracing manufacturing as a key economic growth strategy to boost exports, upgrade domestic enterprise capabilities, and create higher-skilled employment. “Singapore’s manufacturing services companies with expertise in plant construction and design, equipment set-up, production workflow planning, quality control and testing, and skills training will be able to support manufacturers to expand production across the continent,” Mr. Boon noted. Singapore’s growing bilateral economic ties with Africa were further cemented with the signing of an Avoidance of Double Taxation Agreement (DTA) between Singapore and Gabon. This brings the list of DTAs that Singapore has signed with African countries to 13. To this end, Enterprise Singapore supports Singapore companies to expand business opportunities by connecting them to local networks and working closely with African governments to create a business-friendly environment, through the three regional offices in Africa. The Nairobi overseas centre opened recently in June 2018, while the two others in Accra and Johannesburg have been in operation since 2013. Business activities in North Africa are undertaken by the Dubai overseas centre. Singapore Manufacturing Federation and Egyptian Businessmen Association to accelerate business-matching between Singapore and Egyptian companies.